This unique concert was filmed at the London Hippodrome on October 25th 2007. It formed a part of the launch for the Jimi Hendrix Live At Monterey program and featured Gary Moore and his band performing classic Hendrix tracks. 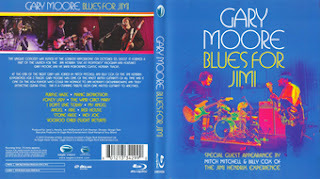 At the end of the night Gary was joined by Mitch Mitchell and Billy Cox of the Jimi Hendrix Experience for 3 tracks. Gary Moore was one of the finest British guitarists of all time and is one of the few players who could pay homage to Jimi Hendrix's groundbreaking and truly distinctive guitar style. This is a stunning tribute from one master guitarist to another.